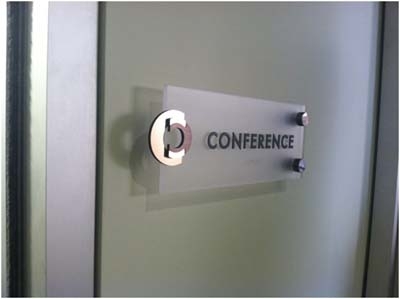 November 2011 - J. 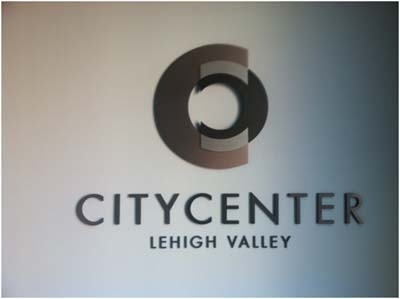 B. Reilly unveiled detailed plans for a $50 million office complex that includes a 570-space underground parking garage could attract more than 700 mostly white-collar office workers to downtown Allentown. 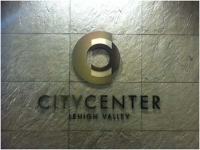 One City Center, to be built by J.B. Reilly on a Seventh Street parking lot south of the Soldiers and Sailors Monument, is billed as the first phase of a plan that will bring thousands of new workers and hundreds of new upscale homes and apartments into Allentown's struggling downtown. 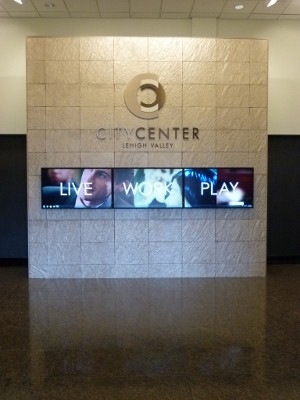 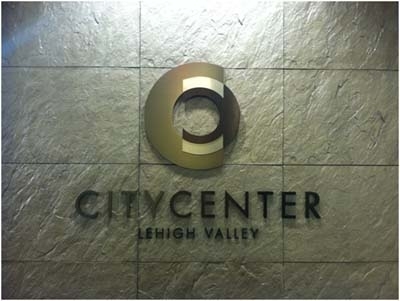 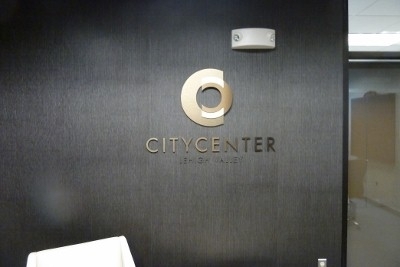 Valley Wide Signs & Graphics worked with enze to bring City Center logo to life with custom gold, bronze and aluminum brushed metals on dimensional cut letters in multiple locations throughout the initial meeting complex. 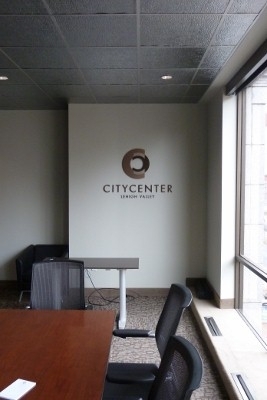 During installation, the developer realized they neglected to order an additional sign for their third floor office - at noon on a Friday. 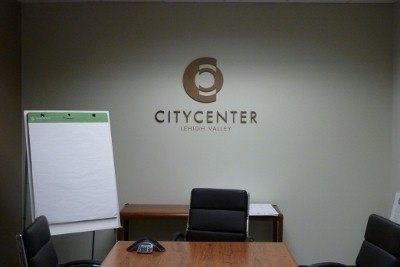 Valley Wide Signs was able to manufacture an additional logo have it installed the following Monday morning to meet the customer's timeline.